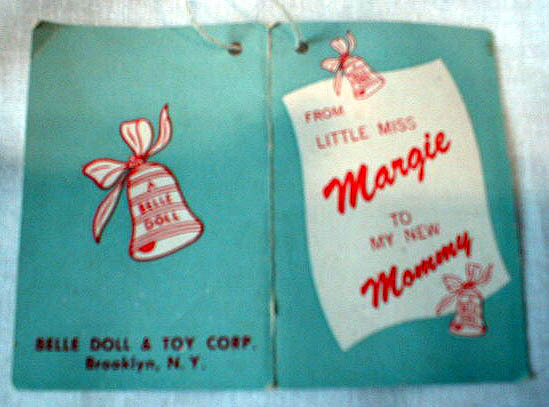 Belle Doll and Toy Corporation created dolls in the 1950s including Margie, Little Miss Margie and Marjorie. 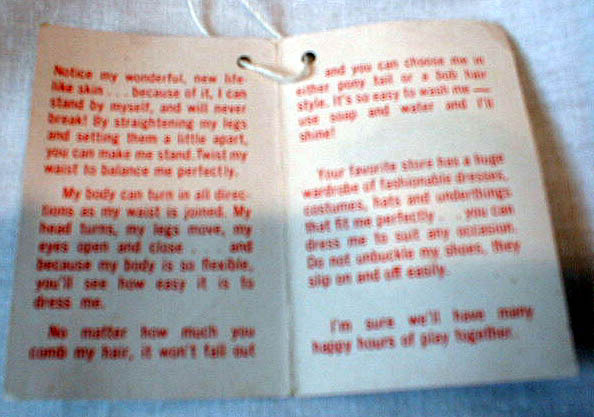 Here are some examples. 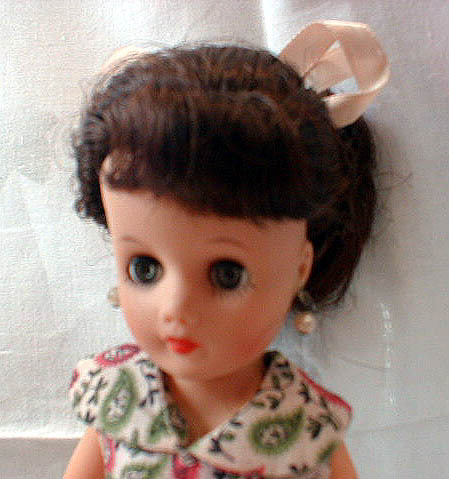 Belle Little Miss Margie is one of the many dolls marked with a "P" in a circle on the back of her head so, without a hangtag or box, it's impossible to tell her apart from many of the other small glamour dolls of the 1950s. 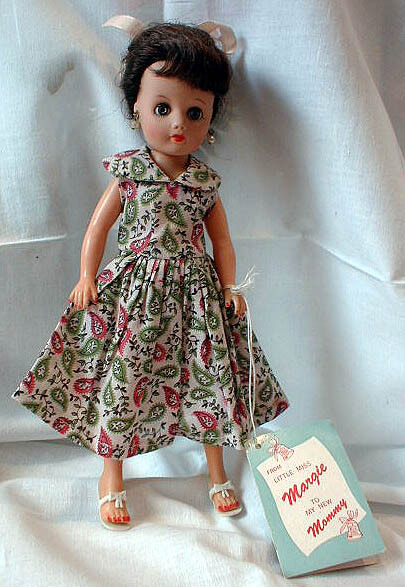 Another perfect and complete Little Miss Margie in her original clothes and box. 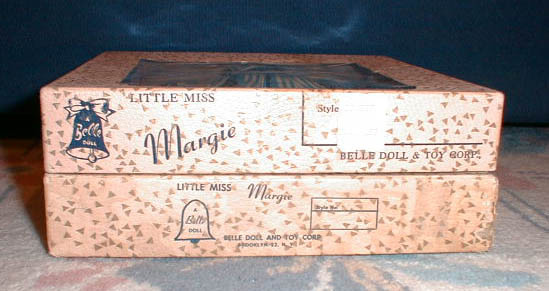 Here is a picture of the side of the box. 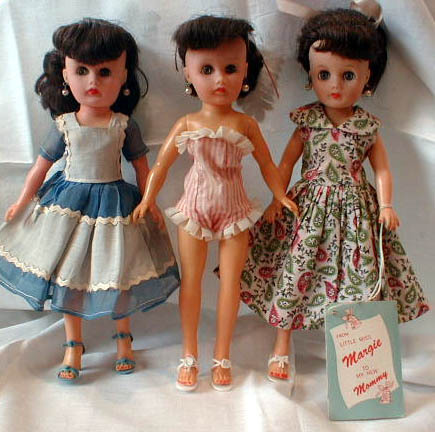 The middle doll in the pink playsuit was my first Belle Margie purchased in her original box (not sure if outfit is original). 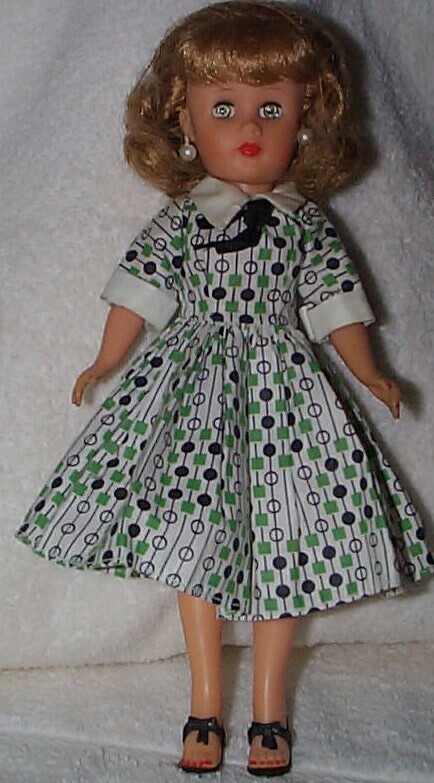 The doll on the left in blue is marked with a "P" in a a circle, has 5 painted "eyelashes" underneath her eyes & is absolutely identical to the one in the middle (blue dress appears to be Mommy-made.) 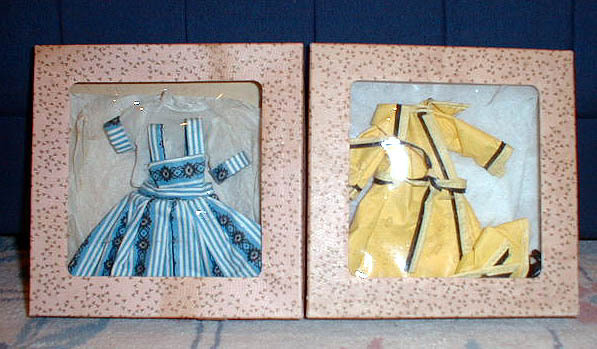 The doll on the right in the flowered dress was purchased with her Margie hangtag (no box) but her face has a different appearance - her eyes are larger and she has 6 painted "eyelashes". 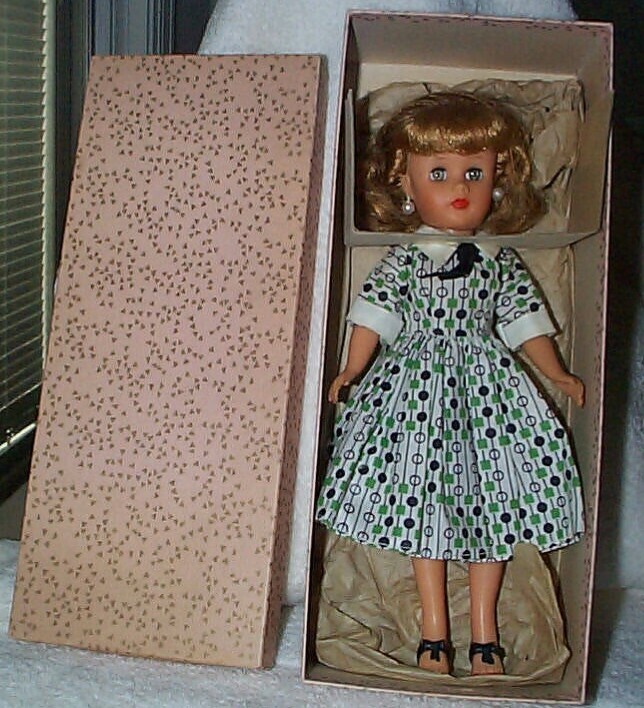 Also, she is not marked and has no Circle P mark on her head. 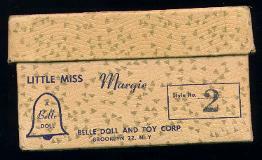 Either Belle used different manufacturers or this is not a Margie (despite the hangtag). 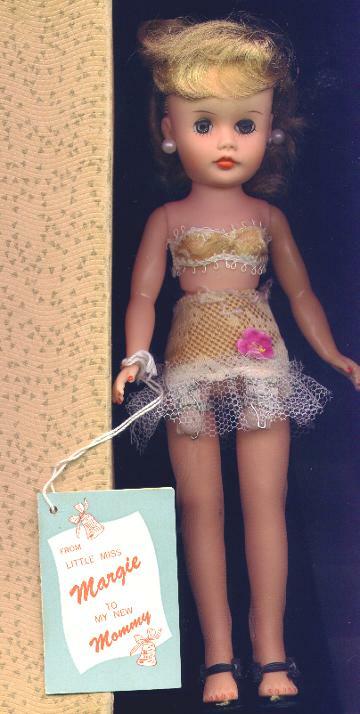 Does anyone know?